Attention Dairy Farmers, please fill out this survey! The Pennsylvania Supreme Court has been asked to consider revising a critical measure that was put in place to ease the medical malpractice crisis. As part of a package of reforms implemented in 2003, a new rule was put in place to prohibit the practice of venue shopping which allowed plaintiffs to file medical malpractice suits in municipalities like Philadelphia that were more likely to provide higher awards for damages. Abolishing this rule threatens to create a new medical malpractice crisis and drive more doctors out of Pennsylvania. I supported a resolution, which recently passed the Senate by a 32-17 bipartisan vote, that urges the court to delay this decision until the Legislative Budget and Finance Committee can complete a study on the issue. The resolution would also require a public hearing to allow all interested parties to weigh in on how this change could impact health care providers, patients and insurers in Pennsylvania. This will give the legal community, the medical community, the business community, and the public ample opportunity to weigh in with statistics, trends, arguments and philosophies. It is my hope that this comprehensive study will help inform all of us on whether changes to the venue rule are warranted. This week, The Daily Item featured an op-ed I wrote regarding this situation and the need to avoid making any decision that could limit health care options and increase costs for Pennsylvanians. If you’d like to read the full article featured on the Daily Item, you can check it out here. Congratulations to the 6 individuals who were awarded the Boy Scout of America Eagle Scout Award on March 9th and March 10th. On Saturday, March 9th Payton Cremia from Troop 651 Summer Hill and Orion Maciejewski from Troop 489 Rehrersburg were honored for the highest rank available in the Boy Scouts. On Sunday, March 10th Ryan Kemp, Alex Blatt, Lucas Gehrig, and Cole Schlenker from Troop 184 Hamburg were also recognized for achieving Eagle Scout. This is an incredible honor and I was thankful to have the opportunity to attend this prestigious ceremony. The Pennsylvania Fish and Boat Commission recently announced its 2019 trout stocking schedule for all Pennsylvania waterways. The commission plans to stock approximately 3.2 million trout throughout Pennsylvania this year, and their statewide network of cooperative nurseries are expected to stock an additional 1 million. The trout stocking schedule varies from year to year based on a number of environmental and maintenance issues. 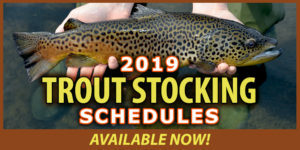 The most up-to-date stocking information is available at www.fishandboat.com. The 2019 fishing season opens on March 23 with the Mentored Youth Trout Fishing Day program in 18 Southeastern Pennsylvania counties – including Lancaster County. The regional opening day in our area will kick off the following weekend on March 30. Details on how to participate are available here. Funding is now available to help the states rural communities increase protection from wildfires. The grant program is offered through the Department of Conservation and Natural Resources (DCNR) and rural communities with fewer than 10,000 residents qualify for the aid. The grant may be used for training and equipment purchases as long as they are directly related to fighting fires. US 222 at PA 662 intersection in Richmond Township (2016-2018) – A $6.6 million project that replaced the signalized intersection with a modern roundabout, widened US 222 to four lanes at the roundabout approaches, and constructed sidewalks on all roundabout approaches. The project also included milling and paving at the intersection, drainage improvements, new signs and new line paint. US 222 in Maidencreek Township, Berks County – widening and adding turn lanes at the signalized intersection of US 222 and PA 73, a roundabout at US 222 and Tamarack Boulevard/Genesis Drive, and constructing a 5-lane section of US 222 from the Outer Bypass north through the PA 73 intersection to just north of the Schaeffer Road intersection area. Estimated to be put out for construction bids in summer 2019 (est. construction cost; $25 million -$28 million). US 222 at Long Lane in Maxatawny Township, Berks County – replacement of existing signilzied intersection with a roundabout. Estimated to be put out for construction bids summer 2020 (est. cost $7-$8 million). US 222 in Maiden Creek, Richmond and Maxatawny townships – widening US 222 to 4 lanes (2 north, 2 south) with a center median barrier from just east of Schaeffer Road to the Kutztown Bypass. Estimated to be put out for construction bids in fall 2021 (e5t. construction cost: $30 million – $35 million). If you are a dairy farmer, the Milk Marketing Board is asking that you complete this survey by March 24th. The answers will help the board improve their communications and all comments and suggestions will be reviewed and considered. All suggestions will be anonymous. 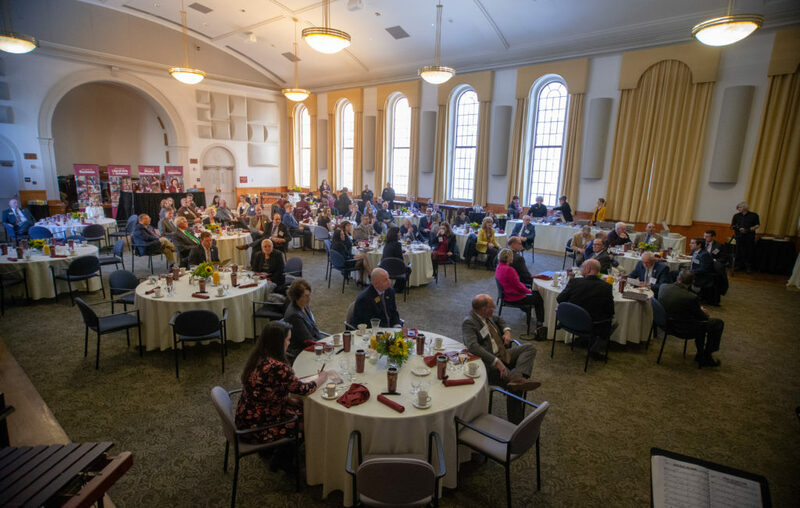 Last week I attended a legislative breakfast that Kutztown University hosted. More than 50 officials and members of the university attended to discuss the role of the university, its historical purpose, challenges it faces, and what it will look like in the future. I really enjoyed the session in the Old Main room where my father (Arthur Argall 1957) and grandfather (Arthur Argall 1928) once ate their meals. The morning was filled with productive discussions on the impact Kutztown University has on its students. I look forward to continuing to support the university in any way I can. For more information on Kutztown University and its government and community relations, contact UR@kutztown@edu. On Monday I had the opportunity to attend the Berks County Farm Bureau Legislative Breakfast with other Berks County legislators and county commissioners. I discussed my continued effort to address our unfair property taxes, expressing my appreciation for the bureaus continued support. My colleagues also discussed issues such as Sunday hunting, the spotted lanternfly, and other issues. I also discussed my personal connection to the farming industry– my wife Beth and her family owns Koch’s Turkey Farm, near Tamaqua. I have learned so much from her family about the hard work and dedication it takes to survive in modern agriculture. For more information on the breakfast and what was discussed, check out the Reading Eagle article here. My dogs are Kerry Blue Terriers and are 100% Irish. Their ancestors are from the county Kerry. 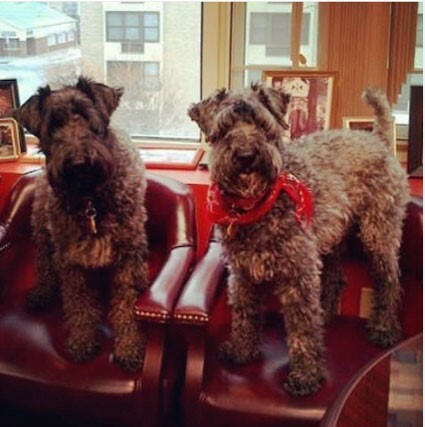 So from my pups to you –Happy Saint Patrick’s Day!